If you are looking for a ducted reverse cycle air conditioner for your Perth home, LG would have to be one that you consider. LG is one of the top electronics brands in the world today, manufacturing some of the highest quality air conditioner units in the market. Focusing on effective functionality and versatility, LG Air Conditioner systems are equipped with innovative features designed to optimise your environment and your comfort. With LG’s inverter technology on their reverse cycle air-conditioners, you are assured of a powerful but silent performance. Excellent performance does not equal high power consumption though, as despite their capacity to rapidly cool your room, LG air conditioners remain energy-efficient. You can control your LG air-conditioner system in your Perth home wherever you are through the LG Smart AC App usable through any smart device. As long as you have a working Internet connection, you can turn on your system in advance of coming home and you do not have to worry about forgetting to turn the machine off. LG Air Conditioner systems come in a compact design that makes installation a breeze. They are also constructed with easy maintenance in mind. Each system is equipped with features that take the difficulty out of cleaning and maintaining them. 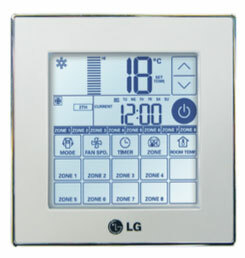 LG allows you to control not just temperature but the pressure as well for faster and more precise response to load variation. Each AC unit is coated with GoldFin™ on the surface of the heat exchanger, allowing it to resist the harsh Australian outdoor conditions.